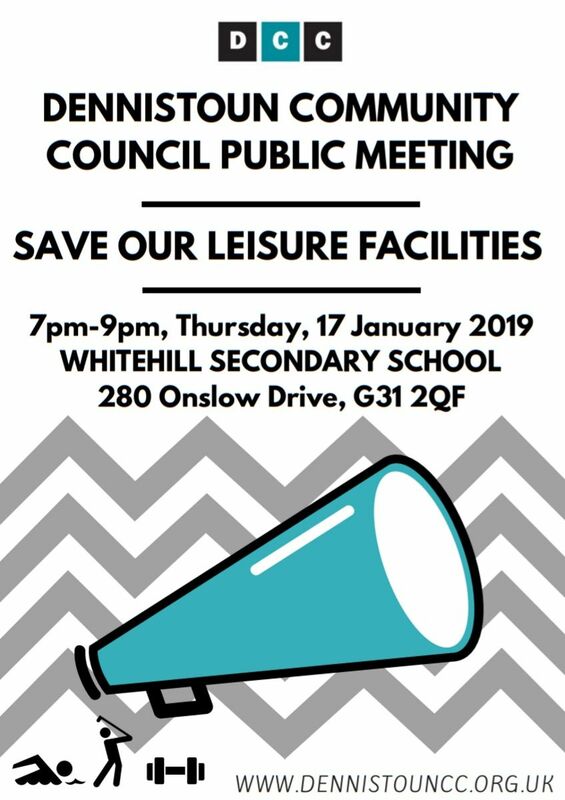 In response to the huge attendance on the 8th January 2019 at a Community Council meeting (see: Closure of Whitehill Swimming Pool) in the Dennistoun library a Special Meeting was called. 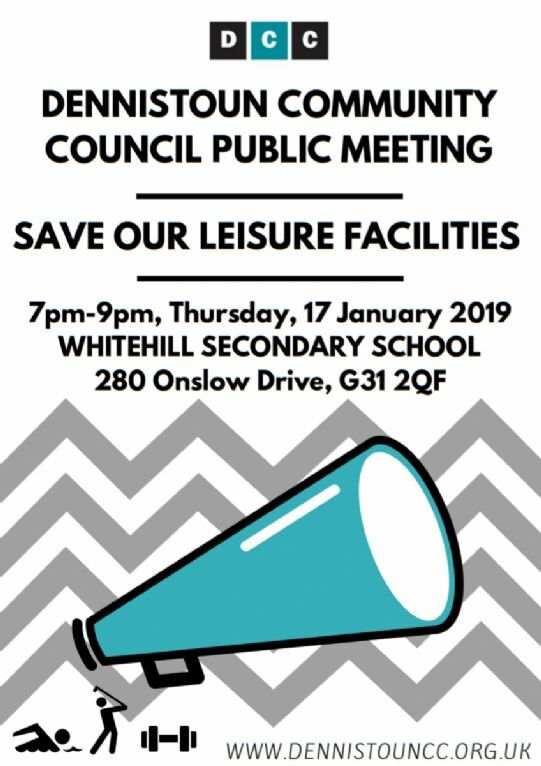 Dennistoun Community Council (DCC) will hold the Special Meeting to discuss the potential closure of Whitehill Pool, Glasgow Club Haghill, and Alexandra Park Golf Course. Leaked documents are said to highlight that leisure facilities are at risk in our community. Glasgow City Council's budget will be voted on at their Full Council meeting on 21st February 2019. The meeting is a public forum to discuss potential closures and/or cuts to services at our local leisure facilities.